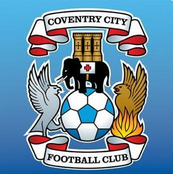 Discussion in 'Coventry City General Chat' started by letsallsingtogether, Sep 15, 2018. They will be at the trust meeting on Monday night, maybe that is why they played so well. NorthernWisdom and 6 Generations like this. JulianDarbyFTW, djr8369, Mcbean and 2 others like this. Both played very well today. A clean sheet against Barnsley at this level is no mean feat. He’s signed a one year extension till 2019. Yeah, so that's only until the end of this season. I quite often live in the past too. Burge was outstanding today, if he could find some consistency he’d be too good for this league, But you just know he’s going to let one bobble under his feet and into the net at any time. I agree. While we were lucky in some respectgs, Barnsley had a lot of inept finishing, that doesn't take away the fact both of them were outstanding. Of course he will doesn't every player have a howler every now and again. Don't most keepers make some mistakes in 50% of game, nature of the position they play. A striker missed the target hopefully geys another chance to cancel it out defender messes up hopefully the keeper gets him out of mail. keeper makes a mistake you could lose the game so more is made out of his mistake. It's all about degrees though isn't it? All keepers will misjudge a cross, or flap and miss it. What was happening previously with Burge were the absolute howlers (O'Brien too). All keepers let in howlers, but there were just a few too many, or at least a combination between a howler and then an error in games. He just wasn't at all consistent, but is now looking a lot more so. Tbf to Burge, I have only seen him make 1 maybe 2 HOWLERS, this or last season? There was definitely a marked improvement from last season. Awareness, concentration, decision making are the three big factors in both players for me to why were seeing a improvement in both with a key factor being the mental strength gained from a strong season last year. L2 was a blessing in both players careers, It’s like both went out on loan to a level they can excel in and come back stronger for it but in their own surroundings with a manager who backed there abilities weekly. Not Burge’s biggest fan but he’s showing more consistency of recent, doesn’t scare me as much coming to collect crosses, distribution is better but has its faults tho to a much lesser frequency now. Very reliable shot stopper. Jordan Willis is another who is showing a greater level of consistency in the last 10 months, MR is currently getting the best out of him from his CCFC career. Had a huge challenge in Keiffer Moore yesterday in a type of striker who exposes his skill set. Matched up well with him and didn’t give much away to a good L1 striker. Seems far more switched on for the whole game that previous seasons. Willis and Hyam/Davies are a perfect compliment for keeping most sides at bay in L1.